March is a great month to focus your lesson plans and bulletin boards on the importance of nutrition, because it’s National Nutrition Month! 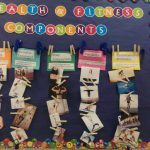 PE Central has many resources to help provide students with the knowledge they need to lead nutritious and healthy lifestyles. Below are some of our favorite ideas and activities. What’s On Your Plate? – It’s important for students to learn and be aware of the 5 food groups. Use MyPlate as a guide and create a visual to remind students all month about the best types of food choices. PE Council – Healthy Fruit and Vegetable Survey – Promote healthy nutrition by having students survey their friends and family about fruits and vegetables. 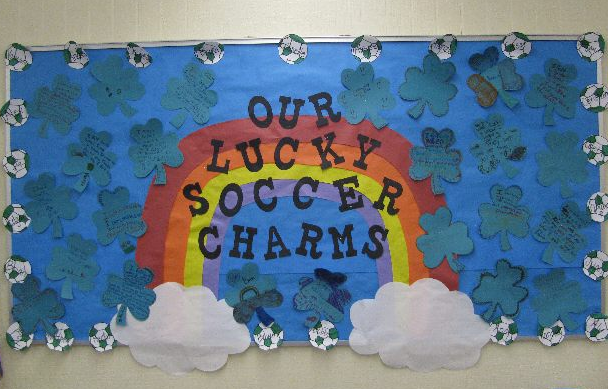 Nutrition Month – This bulletin board incorporates both the Nutrition theme and St. Patrick’s Day! We love how crafty this teacher got with the rainbow and visual food examples to show the variety of healthy foods to choose from. Couch Potato/Nutrition Tag: A great energetic activity to teach students in grades K-2 why it’s not good to get into the habit of being a “couch potato.” Students will learn what defines “healthy food” in the process. Nutrition Station Circuit: Nutrition skills and basketball skills meet in this activity that requires students to be active while learning. Students will learn about concepts like dietary guidelines, empty calories and vitamins in this activity. 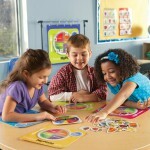 MyPlate Shuffle – Students will learn the five food groups in the MyPlate diagram while working together as a group. Also comes with an assessment sheet and variation ideas. Nutrition (Low Fat/High Fat Foods): What can be considered a low fat food? Students in grades 2 and up will learn in this activity. 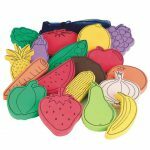 Dribbling for Nutrition: Students in grades 3-5 will learn how to decipher nutrition labels with this activity. By the end, students will be able to pick out the important parts of nutrition label while practicing their dribbling skills. Serving Up Nutrition: What are the average person’s daily nutritional needs? Students will learn the answer to this question through this lesson plan that also helps students strengthen their language arts skills. Gardening and Nutrition: A great lesson plan for helping students in grades 3-8 plan out healthy nutrition routines through the maintenance of a garden. Nutritional Budgeting: Set students up for success with this fun, collaborative activity. Through this lesson plan, students will learn how to feed a family of four with a budget of just $100. Nutrition Exploration: High school students will learn about dietary guidelines with this activity. A free, printable worksheet is included! Nutrition/Consumerism: Students will learn how to be responsible consumers by assessing what companies do write and wrong when marketing a food item. Bonus: Students will love the fact that they get to bring their own snack to class. 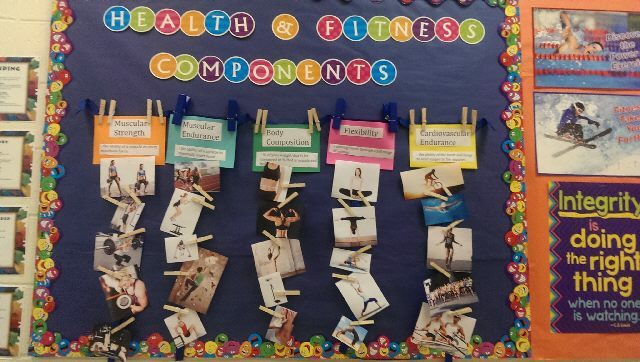 This entry was posted in Health & Nutrition, Newsletter March, PE Activities & Games, PE Central and tagged bulletin boards, fruits and vegetables, healthy, lesson plans, MyPlate, national nutrition month, nutrition, physed, physical activity, Physical Education by S&S Worldwide. Bookmark the permalink. Does anyone know where i can buy the food cutouts that are on the rainbow? Hi Julia, we are unsure as to where this particular teacher got the food cutouts, but I will send you an email with some suggestions. Thanks!